The Good Schools Guide Education Consultants team is made up of our most experienced writers around the country. All our consultants have visited many schools and all have specialisms in eg boarding, the IB and special educational needs. All are parents, many are teachers or other experts in education. The team is managed by our senior administrator, Shari Lord and her assistants, Amanda Perkins and Kathryn Berger who will be your first contact. They will take your details and a brief summary of how you would like us to help you. Shari will then consult with the directors of the service, Susan Hamlyn and Bernadette John, to decide which member of the team will be best able to help you. You will find brief introductions to the team below. You will also find links to articles that have been written by members of the consultancy team. Asterisks by consultants’ names mean that they are part of our SEN team. Grace is a director of the Good Schools Guide Education Consultants and has worked for the Guide for over 14 years. She has extensive experience of advising parents about schools and education. She loves her work and takes particular pleasure in identifying the right match for the child. With four school age children of her own, all at different kinds of school, Grace understands the pressures and anxieties that parents experience surrounding decisions about the education of their children. After a 10 year career at the Bar, specialising in pensions and child care, Grace taught Classics at Sussex House School for 7 years where she was Assistant Director of Studies responsible for senior school transfer. Education has always been an interest of hers, growing up in a boarding prep school in Sussex, founded by a direct ancestor in 1837 and run by her parents as joint heads. Grace is based in West London and has a good knowledge of London schools, state and independent, as well as boarding schools. Bernadette John, a director of The Good Schools Guide Education Consultants, takes particular responsibility for our special educational needs service. She has 20 years’ experience of SEN, gained both through work for charities, advocacy services, and government pathfinder organisations, and through raising her eldest child who has special needs following a premature birth. Her journey to find the right provision for him took her on a tour of schools in ‘just about every district in commuting distance of London’, through mainstream and independent specialist schools, and through education tribunals along the way. Bernadette advises on special schools and colleges across the UK. Her younger sons have been educated in a mix of state primary and independent prep schools, and at three of Kent's grammar schools. She advises parents seeking admission to grammar schools, and helps parents with appeals to grammars and other secondaries. She is also an advisor for mainstream independent and state schools across the home counties. 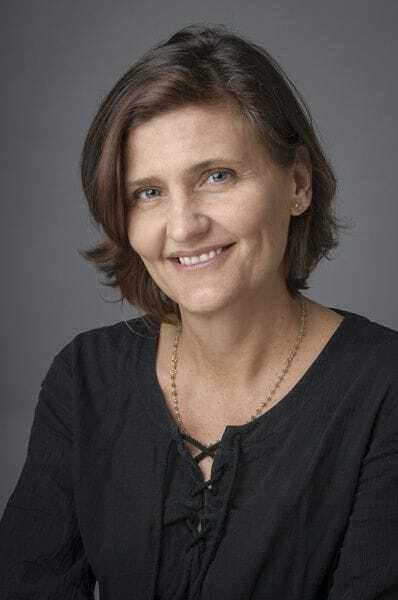 Susan Hamlyn, director emerita of The Good Schools Guide Education Consultants, created and managed for six years the Good Schools Guide's team of expert consultants. Prior to that she was senior editor of The Good Schools Guide for 12 years. Susan was also a Relate relationship counsellor. She continues to advise on all things educational and family-related in talks to parents and through advising individual clients. Formerly head of English and drama at a London independent school, Susan has been teaching English to children and adults for more than 40 years in schools, colleges and one-to-one. She has been a GCSE and A level English examiner. Susan is the writer of numerous books on English at the 11+ level, including the best-selling 11+ English Revision Guide, published by Galore Park. She has written many other books, stories and poems for children and writes regular journalism for national press on educational matters. Susan is a regular contributor to The Daily Telegraph's educational "Ask the Expert" feature and is the education Agony Aunt for Angels and Urchins magazine. Susan lives in West London and has two grown-up children. She has visited more than 150 schools for The Guide and has advised many hundreds of families. She has particular interests in girls’ schools, London schools and boarding schools. Her principal aim is to help ensure that children enjoy their childhood and their school years. “Happy children learn,” she says. Click to listen to Susan Hamlyn, Director of the Good Schools Guide Education Consultants talk on scholarships and bursaries at the Independent Schools Show. Amanda has worked for The Good Schools Guide during the autumn term for over four years, contacting schools and updating the database. She says she is thoroughly enjoying her new role working with Shari as an administrator for The Good Schools Guide Education Consultants. Amanda has three children, two still in education, and has experienced both state and independent schools as well as a few years in the French school system. Amanda’s youngest is currently starting GCSEs so she knows just what it is like to weather the angst this produces. Having experienced the French Brevet in between, she is looking forward to the challenge and is sure this helps her empathise with the worries that parents have about their child’s education. Kathryn has worked for The Good Schools Guide since 2010, helping on the Great Annual Edit which takes place each autumn. In 2015, she joined Shari and Amanda as an administrator for The Good Schools Guide Education Consultants. Kathryn has four children, two in primary education and two in independent secondary schools in Cornwall. She previously worked in the research sector at JP Morgan and Accenture in London and Reuters in Devon. Kathryn has a commerce degree and an MSc in Information Science. After moving to Cornwall she has worked as a school librarian. She is married to a teacher. Susan taught English at secondary and preparatory schools for over thirty years. Until 2012, she was head of a successful non-selective, coeducational, independent preparatory school in Surrey. Susan began her career at St Catherine’s School, Bramley and, later, Guildford High. Both her sons went through the independent system and Susan became excited by the possibility of working in the preparatory sector after touring schools as a prospective parent. She has considerable experience of London day schools having been Deputy Head at Falkner House and senior teacher and Head of English at Durston House School for boys. She was Deputy Head and Head of English at Bute House, helping to prepare pupils and advise parents on the bewildering choices available to them. Janita has been with The Good Schools Guide since 2008 and is a senior editor, she has two children who were educated at state and independent schools and she lives in Oxfordshire. After studying English literature at the University of York and a master’s at the University of Sussex, she worked as a commissioning editor in trade publishing and the university sector for many years. Her Good Schools Guide ‘patch’ is Gloucestershire, Wiltshire, Oxfordshire and Berkshire, but she also travels far and wide to visit and write about boarding schools. “Being part of the senior editorial team is a great advantage for my consultancy work because I get to read all the reviews we publish. I’ve become a complete school nerd and love finding out about all the diverse and fascinating schools we have across the UK. What I enjoy most about being a consultant is talking to parents about their children and the challenge of helping them to find the best choice of suitable schools. 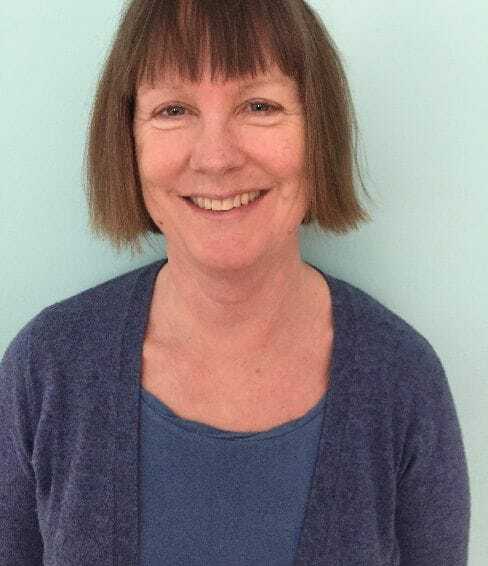 Elizabeth lives in Sheffield and has taught English, mainly in independent schools and Further Education colleges, in various parts of the country, for over thirty years. Her children (one girl, one boy) attended a state primary, followed by either a comprehensive or independent school, so she has an interest in and experience of both sectors. Elizabeth says, “I am a self confessed edu-geek and have found visiting a wide range of schools for The Good Schools Guide, for ten years now, fascinating and at times inspiring. My favourite part is talking to the pupils, always a delight. They have a much more lively time than I did, at a rather monochrome girls’ school in North London – I feel quite envious at times!” Elizabeth has advised a substantial number of parents looking for state schools all over England, with a particular focus on London and the Home Counties. She has helped families – both with choosing the best schools and with negotiating the seemingly infinite variety of admissions policies. Former head of a leading independent school in Birmingham and before that, head of a co-educational boarding school in Saffron Walden, Sarah Evans has chaired a number of national education committees including establishing as an independent company and chairing the Independent Schools’ Teacher Induction Panel. 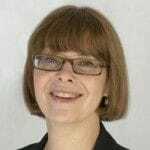 She now chairs the National Induction Panel for Teachers in Academies and Free Schools and works as an educational consultant advising governing bodies on senior leadership appointments and leadership training. A Governor of four state and independent schools, Sarah is also a trustee for two Charities involved in social enterprise. She has advised her own family and friends extensively on educational matters! Sarah has been awarded the Tatler Award for Best Headmistress of a Public School, an IoD Midlands Leadership Award and an OBE for Services to Education in the January 2014 Honours List. Sarah is a welcome and highly experienced member of The Good Schools Guide Education Consultants team and can advise parents on all matters to do with their children's education. 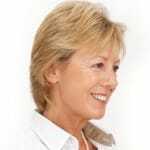 Sue Fieldman has been with The Good Schools Guide for fourteen years and is one of our most experienced consultants. She has first hand experience of the crucial importance of school choice – her daughter has been through the British education system from age 3 -18 and is now at university. Sue says she enjoys every minute of her work advising parents about schools. “There is nothing more satisfying than hearing from parents that their children are happy in their new schools – it makes all the hard work worthwhile.” Sue is used to helping people in various aspects of their life. Prior to working for the Guide, she was a national newspaper consumer journalist specialising in readers’ financial problems. She is also a fully qualified solicitor. Lisa is an experienced education consultant and education journalist. She writes for The Good Schools Guide and about education for The Times, The Daily Telegraph, The Financial Times, and Prospect Magazine. She holds a PhD from the UCL Institute of Education, and continues to carry out educational research. A Canadian by birth, she is married with two sons, educated in both the state and private sector and at leading British universities at undergraduate and post-graduate level. 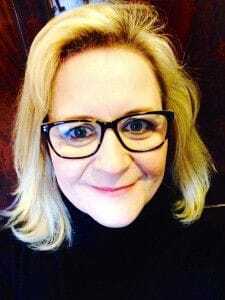 An Oxford graduate, Judith is a highly experienced Drama and English teacher, and over twenty-five years has worked extensively in both the independent and state sectors. She has taught in girls’, boys’, mixed, academically selective, non-selective, specialist and SEN schools, and has particular in-depth knowledge of schools in south-east and south-west London. As an actress, she specialised in theatre-in-education and community theatre, and toured to primary and secondary schools all over the UK in a huge variety of shows. She holds an MA in Performance Arts from Middlesex University, and continues to have a passionate interest in music, drama and dance education. 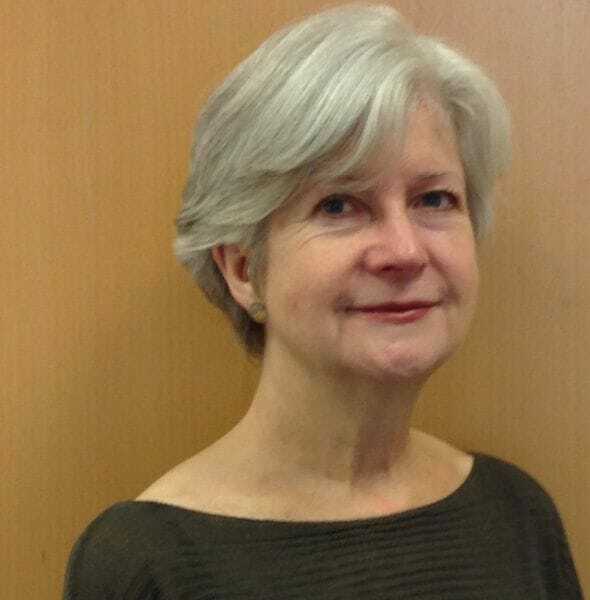 Anne Hadley has broad experience of education in the UK, having visited and reviewed schools in the south of England for The Good Schools Guide since 2012. She was a governor of a primary school and has two children currently being educated in the independent sector. She and her family relocated to the south of England three years ago so is well placed to understand the anxiety parents can feel in identifying the right school for their children in an unfamiliar area. Anne was an employment lawyer for seven years, advising clients on their employment rights at often very stressful moments in their working lives. Finding the right solution for each particular client was crucial and she enjoys using these practical skills to help parents find the right school for their child. Sophie has worked with The Good Schools Guide since 2000 as a writer and an education advisor for both mainstream and special educational needs. Her early career included founding and running a nursery and pre-prep school and providing 1:1 tuition for people affected by specific learning difficulties and ASD. Currently she works part time as an additional support lecturer/tutor with children and adults in an FE College. She has also worked for charity helplines and been involved with research and training projects in both the statutory and voluntary sector. Mary Langford is a US/UK dual national who first moved abroad at the age of two. She attended eight schools on three continents, studying in French, English and Spanish. She attended the College of William and Mary (Virginia, USA) and the University of Texas graduating with a BA in Spanish, Portuguese and Latin American Studies, and later an MA in International Education at the University of Bath. She has recently started her Doctorate in Education at Bath. She has been a school head, principal, teacher and admissions and communications director at boarding and day schools in England, Switzerland, Greece, France and Spain offering IB, US, English, Spanish and Saudi Arabian curricula. For four years she was Deputy Executive Director of the European Council of International Schools (ECIS) where her responsibilities including managing 32 professional committees and ECIS certificate programmes for governors and trustees, senior leaders, and teachers.. She has served on 16 international school accreditations teams under the auspices of the Council of International Schools, the International Baccalaureate Organisation, and two US accrediting agencies, predominantly the New England Association of Schools and Colleges, and has visited over 90 international schools in the Far East, Middle East, Southeast Asia, North Africa, Europe, and North, Central and South America. She manages a language consultancy of over 40 supporting over 100 students who are studying their mother tongue languages in over 30 International Baccalaureate Schools worldwide. She is also a Visiting Lecturer on International Education at a Danish University. Mary has written, spoken and led workshops and training programmes on international schools, international education, and the impact of international mobility on families and children, and has served as a consultant for The Good Schools Guide International since 2007. Patrea, who was educated at Cranborne Chase and the Sorbonne, is now Consultant Emeritus. She was one of the three founders of The Good Schools Guide and remains a source of huge experience and expertise. Charlotte attended Queen Anne’s, Caversham and has a degree in Latin/French from Durham University. She retains full membership of the Chartered Institute of Personnel and Development and does some HR consultancy. She has 25 years experience as a school governor (state and independent) and has worked as a teaching assistant and a French tutor so, along with seeing her own children through schools, Charlotte has plenty of experience of UK education. Charlotte tells us, “The compensation of coming to the end of one’s children’s school days is the acquisition of masses of experience of schools – the good, the bad and the ugly, the state, the independent, the boarding, the day – I have done them all. Writing for The Good Schools Guide since 2009 has given me priceless insights, great research skills and the guts to ask the awkward question, so I am delighted to be part of the The Good Schools Guide Education Consultants. I work mostly in south west England. Charlotte Phillips is an Oxford graduate and a former teacher (she was a music specialist at a South West London prep school for a decade), parent and consultant. She has also written on education and family life for The Telegraph, Times and Guardian, among others. Her three children, one with SEN, have taken very different educational paths, attending 12 different schools between them with one child home educated through GCSEs. All have ended up doing well. The only thing that matters, she says, is whether a school is right for a particular child, something that glowing exam results and fabulous facilities won’t necessarily tell you. As a veteran of some wonderful moments but some dreadful ones too, she enjoys putting her experience and knowledge at the service of other parents for whom finding the right education is not always straightforward. “Getting the right school for the right child is endlessly satisfying,” she says. Since joining The Good Schools Guide in 2013, there is hardly a corner of outer London and the home counties that Melanie has not visited, notepad in hand. She has prolifically reviewed prep, grammar, state and independent day and boarding schools across the area and is well connected with head teachers, registrars and local parents – crucial for an inside scoop (and the occasional last minute interview or entrance exam). A former PR agency director, Melanie relishes putting her consultancy skills to good use to respond to families’ individual briefs, helping them achieve clarity in what can be a bewildering process. Mum to two school-age sons, she has experienced first hand the perils and pitfalls of state school applications, prep school admissions, the 11+, the moveable feast of grammar school catchments, pre-tests and, with Common Entrance on the horizon, is well positioned to empathise with and guide her clients. An advisor since 2014, Melanie has worked with families tackling international and UK relocations, education planning, troubleshooting and, sometimes, simply providing a calm sounding board. Mary-Ann Smillie is a teacher with a Master in Literacy Learning and Literacy Difficulties from the Institute of Education, London and so has particular understanding of special educational needs. She has reviewed schools for The Good Schools Guide in the UK and abroad and, through The Good Schools Guide Education Consultants, helped many parents find schools that best suited their children. Her own three children attended both state schools and independent schools, in London, France and Italy and Mary-Ann now has responsibility for international schools and international education. But education doesn’t end there, she says, because ‘university applications can be just as complicated as finding the right school – in our family one child went to a Scottish university, one an English university and one went to the U.S.A’. Mary-Ann is our consultant with special responsibility for children who are recognised as Gifted and Talented. Click here to read an article on Prep School for Beginners by Rosemary. Emma has an MA in history, a PGCE and a diploma in Specific Learning Difficulties. Having worked as a teacher for over twenty years, both as a class teacher and as a learning support teacher on a 1:1 basis, she has a wealth of experience of working in education. Emma has also taught English as a Foreign Language in Singapore to 16-18 year olds. Emma has a particular interest in dyslexia and dyspraxia and has been a governor of a special school in London. She joined The Good Schools Guide in 2012 and has visited and reviewed both mainstream and special schools, primary and secondary. Having prepared numerous pupils over the years for entrance exams to senior schools, she is aware of the pressures on them, particularly in London. Emma says, ‘There is nothing more satisfying than knowing that a child is heading for the right school for them.’ She lives in London and has three children of her own. Sally Walker has been the Geneva/Lausanne editor of The Good Schools GuideThe Good Schools Guide International since its birth in 2006. Before Switzerland, she lived in Asia and the Far East and is a long term expat (over 25 years) so brings exceptional experience of that way of life to The Good Schools Guide Education Consultants. Sally worked on regional and national newspapers as well as a variety of magazines when in the UK. In Asia she worked for Dow Jones and Newsweek and, in the Middle East, for Time Magazine and Forbes. Sally was a governor at the Geneva English School. She has a thorough knowledge of the International Baccalaureate Organisation’s four programs: PYP, MYP, Diploma and the new IBCC and she has close ties to the IBO, which is based in Geneva. She has provided an advisory service to many expatriates moving to Geneva and so understands the special needs of expatriate children. Sally has two children of her own who are currently studying at Oxford University, having gained the IB Diploma. She is passionate about the importance of a good education for all children. In her spare time, she’s a Cambridge University qualified English as a Foreign Language teacher. Janette Wallis is a senior editor of The Good Schools Guide and advises parents around the world on UK school choice. She writes regularly about schools and education and is frequently quoted in the national press on education issues. She has 12 years experience with The Good Schools Guide Education Consultants helping families find the very best schools for their children. Janette previously wrote for The Economist and The Financial Times, held the education brief for the Diplomatic Service Families Association and has been a school governor. She has four children of her own. Click here to read an article about Open Days by Janette. In addition, we have a School Appeals Expert, Experts in University Applications in the USA and Europe and a team of Special Needs Experts. We can also offer a listening ear and expert, non-judgemental advice on any aspect of bringing up children if it is not easy to talk to friends and family. Консалтинговая компания в области школьного образования «The Good Schools Guide Education Consultants» уже много лет помогает родителям из России в поиске самых лучших школ для их детей. Наши российские клиенты высоко ценят образовательные принципы, принятые в лидирующих школах Великобритании. Как правило, они хотят, чтобы их дети обучались в лучших загородных английских школах с пансионами, или получили образование в одной из самых знаменитых и почетных академических школ Лондона. Q: Who are the education consultants? What is their background? A: Our education consultants are our most experienced writers. All are parents. Most have a professional background in education and/or a great range of educational and schools experience. You can see all our consultants by clicking on this link. Who We Are. Our clients are not ‘clients’ – they are parents. Parents like us - whatever their circumstances and whatever children they have. Our clients include famous people – household names – politicians from the UK and overseas, industrialists, journalists, Hollywood actors – among them Oscar winners – novelists, TV personalities, rock singers, DJs, billionaires and princes. We love parents. We love talking to parents about schools, education and their children. Our directors and some of the education consultants are happy to come and talk to a group of parents about any aspect of their children’s schooling. We can demystify the confusing and explain the incomprehensible and we love Q and A sessions.